This tax season is the first under the new federal tax cut. 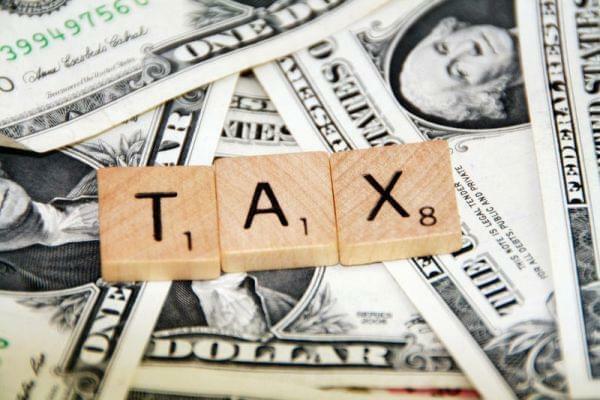 So how can Illinois taxpayers prepare? We have some tips on how to get everything ready to file before April 15. Plus, we hear about the independent film series, Reel Midwest which showcases documentaries, features and shorts from Illinois and our neighbors. And, It’s gotten so bad for one particular endangered bee species that the NRDC is suing the federal government. April 15, Tax day, is right around the corner, and this time around, you might notice a few changes. For one thing, it’s the first tax season when the federal tax cut, passed late in 2017, will actually take effect. And of course, for 35 days, starting in December and going well into January, IRS employees worked without pay during the government shutdown. Back in February, shortly after that shutdown and just before the government avoided another one, we spoke with a couple of Illinois tax experts who gave us their tips for this time of year. "A lot of people who were getting $3,000-$6,000 aren't getting it this year because they were getting it in their paychecks," says Carme Gregory, tax adviser with @HRBlock. When it comes to the movie industry, we often think of the east and west coasts as the epicenters of talent. But this year, a new independent film series, Reel Midwest, set out to show that’s nothing but a myth by highlighting documentaries, features and short films from Illinois and its neighbors. You’ve probably heard lots of news stories about the decline in population here in Illinois. Important animal species like the rusty patched bumblebee are also struggling in numbers. So much so that the Natural Resources Defense Council is taking the federal government to court. They filed a lawsuit back in January accusing the Interior Department and the US Fish and Wildlife Service of violating parts of the Endangered Species Act, which could’ve preserved habitats that the bees depend on. The case is still ongoing and after a thirty-day extension, the next filing for the government is now due near the end of this month. Illinois population is declining...and we're talking about the #rustypatched bumblebees!